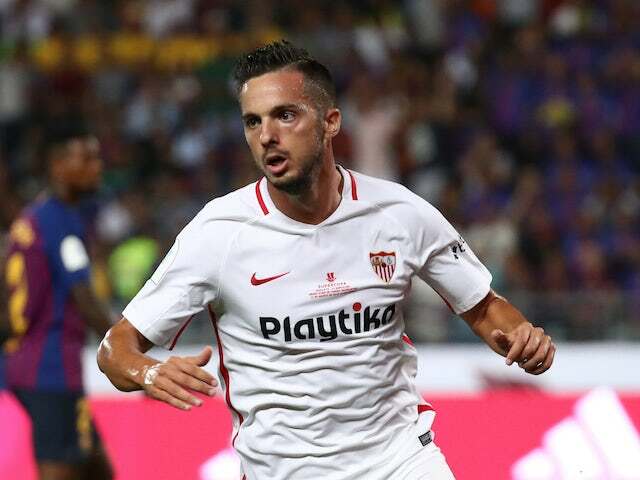 Chelsea almost finished negotiations with Sevilla midfielder Pablo Sarabia and planning to make an offer during the summer transfer window. Blues need a new top-class attacker to strengthen the front-line as Cesc Fabregas moved to Monaco, Danny Drinkwater and Ruben Loftus-Cheek planning to leave the London club and their replacement is necessary. Spain international is the best choice in this situation as he has an impressive campaign and paid big clubs attention. Maurizio Sarri ready to pay big money for the footballer during this summer. Liverpool also interested to sign him and there will be a real battle for the player. His price could increase and become much more. Sarabia joined the Spanish club from Getafe in 2016 with a £1m deal. He became an unchanged figure for the club and played many games amazingly since joining. In this season, Pablo already made 36 appearances, scored 17 goals and made 9 assists in all competition. This is an excellent result and he can improve his consequences with high-class partners. The Spanish midfielder is contracted with the El Grande de Andalucía until 2020 and his release clause is nearly €40m. Blues will do everything to add him during the transfer window. Mateo Kovacic will return to Madrid this summer after a loan spell and Italian manager wants to sign his back-up. Sarri added Jorginho from Napoli last summer who became a key figure for the club and helped them to achieve success in all tournament. Probably Sevilla will accept the correct offer from the London club.